JEFFERSON CITY, Mo. – Right to work? “Wrong for Missouri,” voters said. The controversial right-to-work amendment was put before voters on Tuesday, which would have put in place a law barring workers and employers from requiring workers to pay fees as a condition of employment. Missouri voters, however, had a differing opinion on the issue when compared to that of their state legislature, as they cast enough votes to defeat the measure and prevent Missouri from becoming the next right-to-work state. The topic has been a major issue in recent years, and was finally pushed through in 2017 and signed into law by former-Gov. Eric Greitens. But upon its passage in the legislature, union groups and opponents of the legislation quickly pulled together their strength and put together an initiative petition to put the measure before the voters, preventing the bill from taking effect as law. They rallied together, gathering more than 300,000 signatures – about three times the number needed – securing its place on the ballot. Republicans in 2018 passed a measure to move the vote on Prop A, as it was named, from the November election to the August primary ballot. Voters came out in droves for the Tuesday primary, soundly shooting down the measure. It’s a major victory for unions, which funneled millions of dollars into the campaign against a ban on “fair-share” fees, saying it would have led to lower wages. 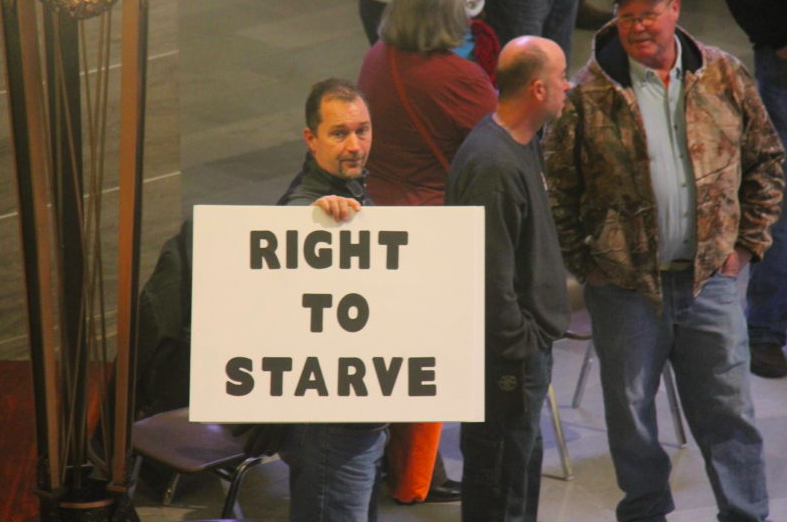 Proponents of right-to-work contend that it would lead to more jobs and boost the economy, though studies have shown conflicting results for both sides. Twenty-seven other states have similar laws to the right-to-work legislation.